The price you were looking for to print and sell your own designs or to reward your customers' loyalty. They are strikingly simple and the best way to make your image or logo stand out. 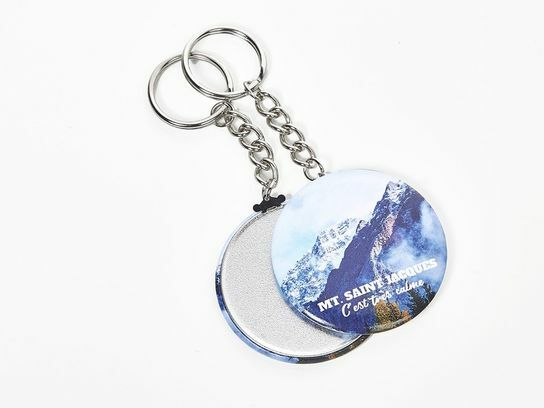 The big surface of these badge key rings makes them ideal for printing full colour images with a great finish.